As their parents pass, baby boomers, Generation X members and millennials stand to inherit massive wealth transfers. Estimates vary widely, but based on studies conducted by Accenture and the Center For Retirement Research at Boston College, anywhere from $11 trillion to $30 trillion will pass through inheritance over the next 40 years – an increase in wealth of about $64,000 to $90,000 per person. The general tenor of much of what has been written about this ongoing wealth transfer is that it will help solidify beneficiaries’ retirement posture. However, the harsh reality may be that this vast wealth transfer will not materially improve the retirement position of most, and that it actually could serve as an impediment. Predicting how much will be left of an inheritance in the future is tricky business. Apart from ongoing living needs, the largest single expense of retirement is end-of-life health care. 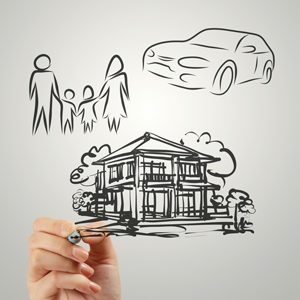 A would-be inheritance of $100,000 could easily be consumed by your parents’ day-to-day living – especially if one lives beyond life expectancy – or simply by the end-of-life health care costs that are commonly incurred.Other variables include real estate values and stock market performance. Those expecting a valuable inheritance based on the value of real estate in 2004 may have been surprised in 2006 after real estate values declined. Similarly, looking at your parents’ investment portfolio in 2007 might have left you seeing a much larger inheritance than after the market reversed course in 2008.Worse yet, if your parents’ nest egg is exhausted, then you may find yourself supporting them and using your own retirement savings or not being able to save as much as planned.In short, instead of receiving an inheritance, you may be left with much less than what you anticipated, nothing at all or even needing to spend your own money. Predicting when someone will die and leave a bequest is also difficult – not to mention unkind. Over time, more individuals have lived beyond the then-current life expectancy, as witnessed by the periodic update to mortality tables. Assuming a normal life expectancy and assuming you are the 40-year-old child of two 65-year-olds, the odds are around 60 percent that you will have to wait at least 25 years for your inheritance.So you should expect your inheritance no sooner than age 65, and possibly much later. That’s a large part of your life to be waiting for an inheritance – especially because the inheritance may not be as much as you think. A recent study by the Center for Retirement Research indicates that, for several reasons, inheritances will have little impact on retirement readiness. First, the majority of households – including an estimated 80 percent of baby boomers – will receive no inheritance at all. Secondly, for those who receive an inheritance the amount will not be large enough to materially change retirement readiness.And many of those individuals are already well prepared and the added wealth will not greatly improve their retirement posture. According to AARP, 65 percent of all inheritances are left to families with a net worth greater than $140,000. Anticipating an inheritance creates a form of planning dependency that could negatively influence how hard you work to make more money, or how much you save. Of course, you may also be counting on something that arrives much later than expected or is less than what you thought, or is nothing at all.It’s better to put any inheritance out of your mind and assume you will have none. It’s hard to imagine your lifestyle will suffer so much that you’ll regret it if you end up with a larger retirement nest egg thanks to an inheritance. Prudential Financial, its affiliates, and its financial professionals do not render tax or legal advice. Please consult your tax and legal advisors for advice concerning your particular circumstances. The Prudential Insurance Company of America, Newark, NJ.